This is a fast and accurate tool for cutting small wood strips to a desired length. 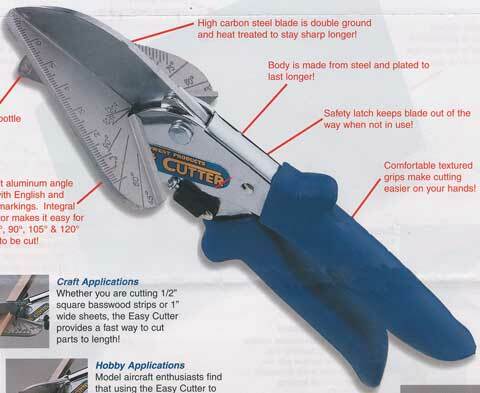 Its die-cast aluminum angle plate with English and metric markings, integral protractor and high carbon steel blade make accurate angle cuts a snap. There' s even a built in bottle opener.